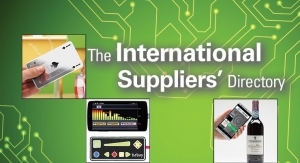 Printed Circuit Boards/Membrane Switches/In Mold Electronics - The Independent Global Source for the Flexible and Printed Electronics Industry. 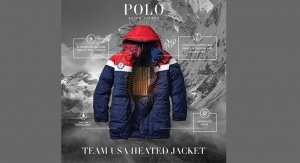 Sensors, wearables and smart packaging are among the growth opportunities for the field. As more products reach commercialization, more companies are looking at ways to utilize these technologies. 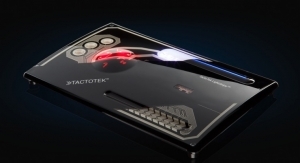 TactoTek expands presence in Japanese market with sales and marketing agreement. 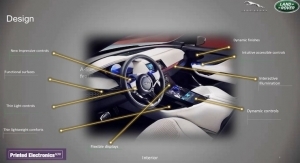 Geely Design to lead Injection Molded Structural Electronics design solutions of interior smart surfaces with CEVT. RWB will assist GGI in defining optimal go to markets and partner ecosystem strategies. RSI said the market was $13.51 billion in 2016. Preferred manufacturing partner will be IMSE ready for mass production in Austria in 2019. 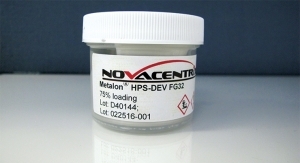 Used in high-frequency printed circuit boards. Lavallee Machinery manufactures time-sensitive, CNC machined parts for OEMs. 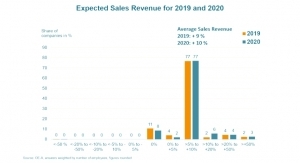 Expected CAGR of 11% between 2017-2025. 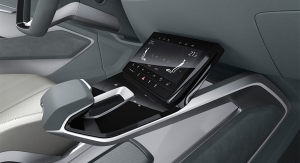 Faurecia to design and manufacture IMSE solutions for automotive customers. 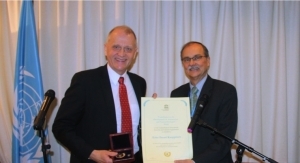 Prof. Kauppinen is the founder of Canatu. 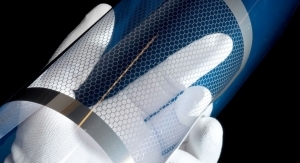 Kauppinen’s group develops thin films from nanobuds and nanotubes for new types of electronic applications. Canatu Cockpit received the award for product design and design quality. 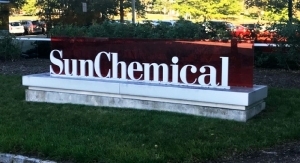 Sun Chemical will be at booth Q33 during the Nov. 14-15 event in Santa Clara, CA. Net sales up 10% to $20.1 billion, with volume and local price gains in all divisions and regions. 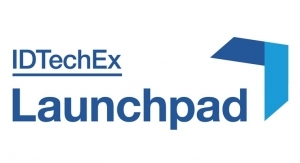 The Launchpad will showcase innovations from 10 start-up companies. 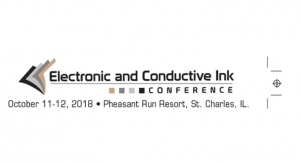 New applications and developments will be among the topics during Oct. 11-12 conference. 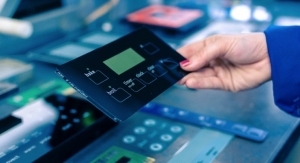 Consumer goods companies, RFID and conductive ink manufacturers and researchers will highlight potential of conductive inks. 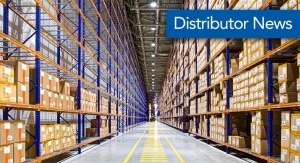 Adds sales and business development operations in San Luis Potosí and Monterrey. Japanese trading group to feature IMSE solutions for automotive, electronics and other innovation-driven markets. Will donate 5% of July’s sales from their online printed circuit board marketplace InstantPCBQuote to WWP. 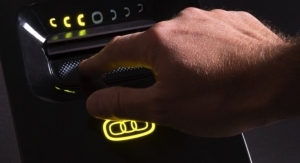 Electronic features blend into decorative surfaces combining function and elegance. 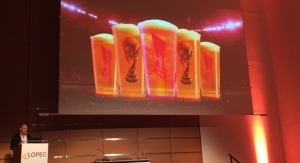 The event will be held at the Novotel Amsterdam City Hotel in Amsterdam, from Sept 10-11, 2018. Independent test labs validate IMSE part for automotive OEM. The company will be at booth No. 8. 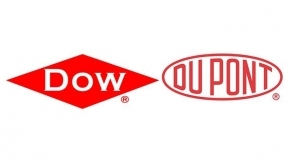 Company traces history back to Lorilleux and Samuel Morris in the early 1800s. 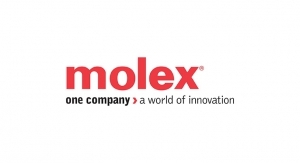 The US-based Multek operation will remain a wholly owned Flex subsidiary. 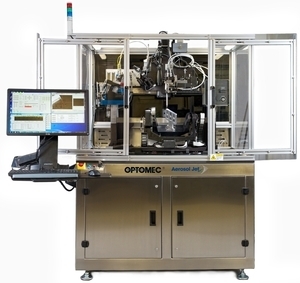 Essemtec pick-and-place and dispensing equipment accelerates IMSE processing. The demonstrator has been done as a joint project between Canatu, Cypress Semiconductor Corp. and NISSHA Corporation. 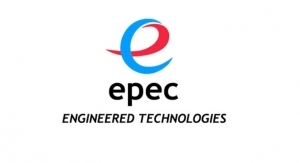 Funding for injection molded structural electronics specialist will aid development and market penetration. 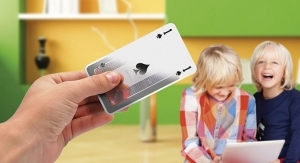 Will show why an increasing number of industries use printed electronics. 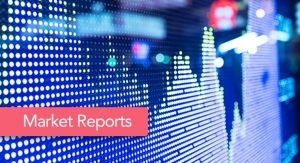 4Q net sales rise 13% to $20.1 billion, with gains in all operating segments and geographies. 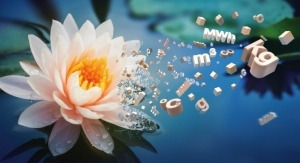 Will highlight products for printed electronics, displays, EL lighting, smart sensors, packaging, PCBs and electronics. Verisk’s 3E Protect offers a mobile-friendly site that is translated into more than 15 languages. 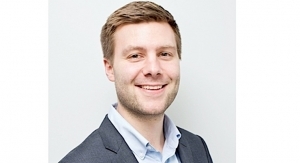 Davis joined the company in 2011 and has worked throughout several departments within Tapecon. System is configurable for academic budgets, advanced R&D, for applications such as sensors, displays, circuits and PV. 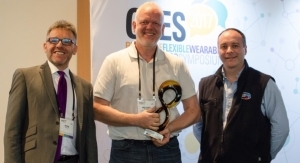 Awards won by Memtronik Innovations, Myant & Co. and Voltera. 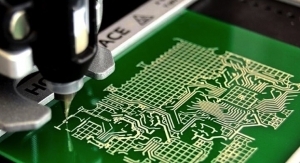 Aerosol Jet 3D printing systems are used for printed electronics applications from R&D to high volume manufacturing. 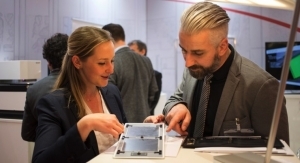 Fujifilm was at Stand B2.564 during Productronica (Nov. 14-16) in Munich. 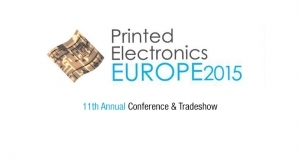 Will show solutions for printed electronics, displays, EL lighting, smart sensors, packaging, PCBs and more. 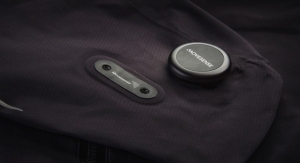 Thin, flexible, environmentally sealed component enhances performance of Movesense motion measurement. 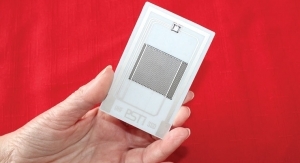 Enables semiconductor package-level EMI shielding through direct spraying methods. Targeted adjustments enhance value creation, further optimize competitive advantages of three intended future companies. 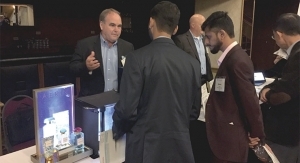 Jabil is the first customer that will receive Nano Dimension’s commercial 3D printer. 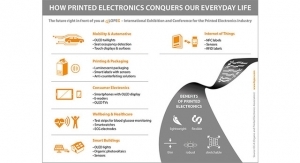 7th Edition of the OE-A Roadmap White Paper shows trends and challenges of printed electronics. Focuses on R&D efforts to develop new products and services that help customers improve eco-efficiency goals. 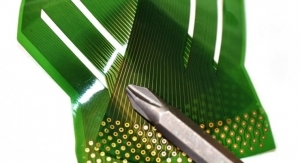 Will advance the development of liquid soldermask and digital printing equipment for inkjet PCB applications. New location offers increased production capacity, purpose-built facility for all IMSE manufacturing processes, room to grow. 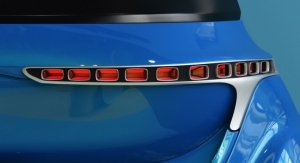 Developing electronic integration and design for vehicles and home appliances. Center in Tortosa will enable customer collaboration, innovation and competitiveness in the Digital Era. Merger on track to close in August 2017. Putnam serves the military and aerospace industries. 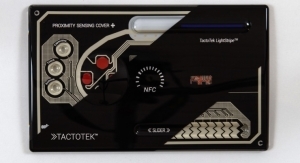 Will highlight SunTronic ECLIPSE conductive inks, resists, dielectrics and insulators and SunTronic NANOSILVER inks. Expanded Jabil Vietnam’s operations to a total of 413,000 square feet of building space at the industrial park. Jabil provides electronic manufacturing services to John Deere Electronic Solutions. 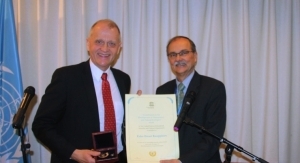 Recognizing Canadian excellence in printable and flexible electronics. 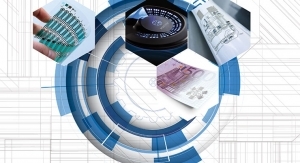 Will highlight PE, PCB, EL, smart sensors and electronics manufacturing solutions. 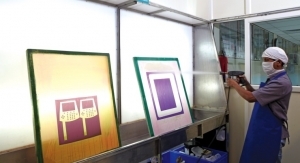 World’s largest ink producer supports the Canadian ecosystem for printable electronics. 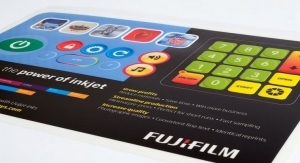 Will highlight inks for screen, industrial, inkjet printing and printed electronics. 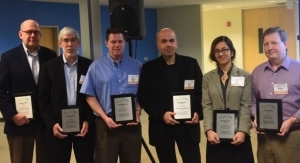 Fellow Award recognizes those helping to accelerate flexible hybrid electronics in America. Conference includes talks by Unilever, CABA, AFELIM, Sun Chemical and NovaCentrix. 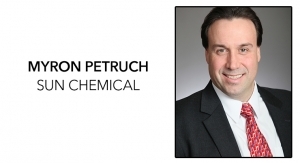 Automotive interiors leader takes equity position in in-mold structural electronics leader. Showcases solutions for printed circuits, printed electronics at IPC APEX EXPO 2017. 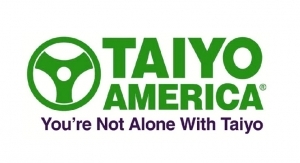 Will leverage DIC’s proprietary technologies into markets Taiyo Holdings operates in, including PWBs, printed electronics. Electronic technologies to boost diversity in Alberta’s economy. The oldest printed circuit board company in North America. 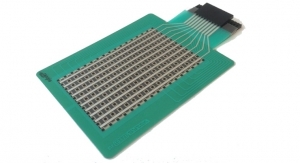 Will highlight silicon LED driver solutions in injection molded structural electronics. 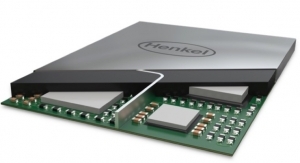 Henkel Electronic Materials has been a key materials supplier in the printable electronics industry. 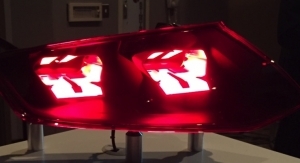 TactoTek uses injection molded structural plastic as a light guide to deliver lighting effects in thin designs. 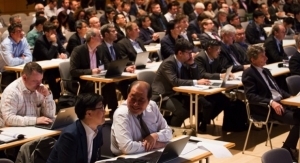 LOPEC 2017 will be held from March 28-30, 2017, in Munich, Germany, and will highlight latest achievements. 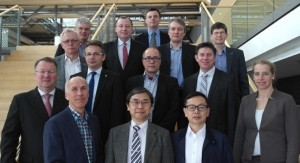 Global industry veterans contribute to Finnish company creating injection molded structural electronics. Day-and-a-half event begins one day before the 2016 SGIA Expo. 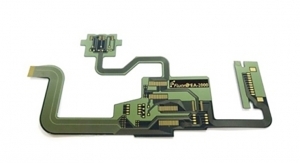 Goal is to mass produce injection molded electronics. Ryan Sanford has been working in the electronics industry for more than 30 years. 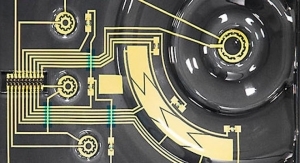 Soligie printed electronics by Molex streamline R&D, deliver faster time-to-market for integrated sensor systems. Nominations will be open until Tuesday, Feb. 23, 2016, with the top five nominees being put up for a vote among our readers. 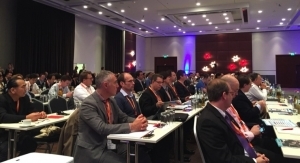 Topics include functional and conductive inks, print processes, materials and media, R&D, emerging markets and more. 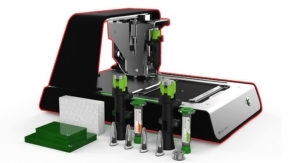 DragonFly 2020 3D Printer, the world’s first desktop-sized 3D printer designed specifically for PCBs, will be shown. Will cover areas including inkjet, printed electronics, automotive, architectural and industrial coatings. DragonFly 2020 is first 3D printer for professional multilayer PCB. 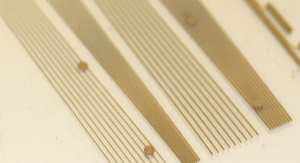 MTS Value Package includes screenprinted silver-filled conductors, carbon filled resistors and UV curable dielectric inks. Will also discuss emerging technologies, impact on athletic training and performance at the Runner’s World stage. 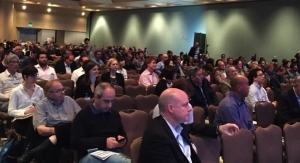 Printed electronics community convenes in Atlanta for tailored event. Customers can easily access information when they want it. Xymox Technologies Starts Enfucell SoftBattery Manufacturing in the U.S.
New technologies are finding uses in sensors, in-mold electronics, displays, lighting and more. 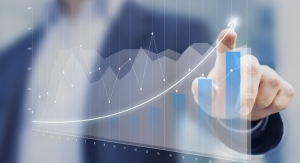 The market is expected to register double-digit growth in the next few years. 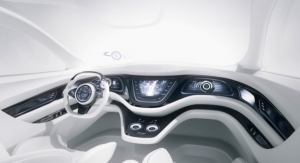 Speakers from Jabil, KONE, Toyota, Porsche, Intel and many others will offer their insights into the technology. 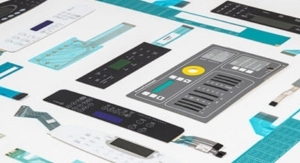 Company is developing advanced technology for prototyping, manufacturing specialized circuitry. 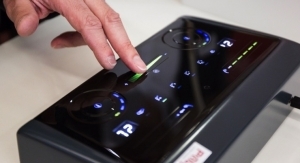 Optimizing its expertise in membrane switches for in-mold, flexible and printed electronics fields. 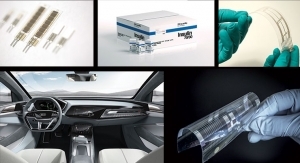 IKEA, Jaguar Land Rover, ABInBev and more discuss opportunities for flexible and printed electronics. 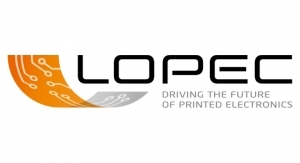 LOPEC will highlight technology gains, with speakers from key players like IKEA and Jaguar Land Rover and plenty of products. PE Now covered a wide variety of stories online throughout 2017. 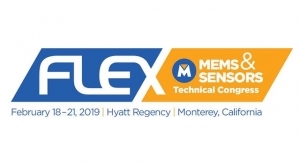 NextFlex’s executive director discusses the latest developments in the flexible sensor field. 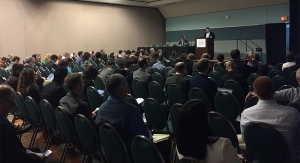 New technologies are discussed for sensors, displays, RFID and more. 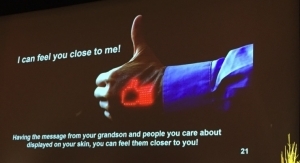 Commercial successes in key markets such as sensors, wearables are fueling growing optimism. Speakers from NASCAR, Samsung, Google, OSRAM, Porsche and Mercedes Benz will be on hand. 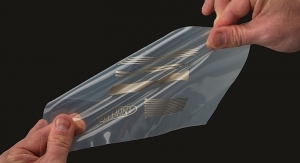 Flexible and printed electronics among the areas where inkjet printing is making a difference. CPEIA’s rebranding brings new focus to growing segments, including wearables, smart packaging and connected homes. 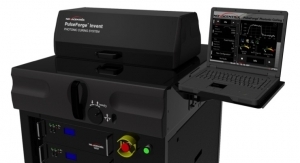 Additive manufacturing machine reduces prototyping time for PCBs down to days and even hours. 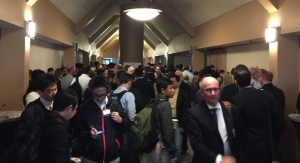 Leaders from VF, Galvani Bioelectronics, ARM, Toyota, Coca-Cola and many others will share experiences, requirements. 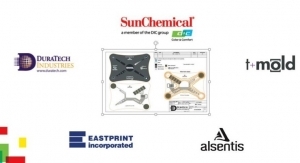 Sun Chemical, Eastprint, DuraTech, AlSentis and T+ink team up to develop IME solutions. 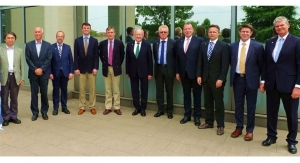 With the interest in hybrid production, new opportunities and markets are emerging. 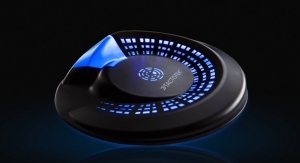 Adds variety of functionalities, including circuitry, lighting, printed touch controls, sensors and antennas. 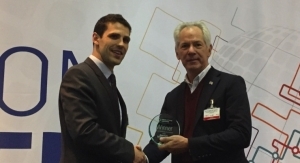 Company is honored at CPES2016 for developing capacitive touch and illuminated display prototypes for retail. Companies look to grow markets, add new technologies through partnerships, mergers and acquisitions. 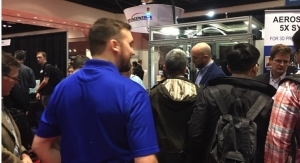 Attendees learn about new developments during talks and on exhibit floor. 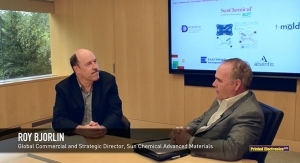 Manufacturers and suppliers offer their thoughts on the challenges that lay ahead. Sytek Enterprises subsidiary utilizes screenprinting experience to develop innovative PE products. 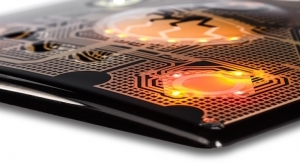 Key markets include sensors, thin film batteries, RFID, flexible displays, memory and IoT. 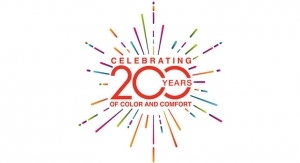 SGIA�s annual symposium explores emerging technologies in printing and production. The electronic circuitry and functionality are part of the 3D-shaped structure itself. IDTechEx forecasts the market for IME devices to exceed $1.11 billion by 2029. Silver flake, silver nanoparticles, copper inks and pastes, graphene and beyond. Core applications of PV and touch panels are growing, but wearables, circuit boards and structural electronics are emerging. Awarded a Gold prize at the German Design Awards 2019 competition in the Automotive Parts and Accessories category. 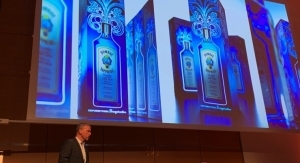 Recent conferences highlighted developments from IKEA, Jaguar Land Rover and ABInBev. 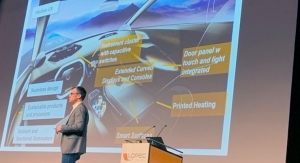 OE-A chairman Dr. Jeremy Burroughes of CDT talks about the growth of printed electronics during LOPEC 2018. Sun Chemical's Roy Bjorlin discusses the advantages of printed electronics in in-mold electronics. Sun Chemical's Roy Bjorlin discusses opportunities for printed electronics in the field of in-mold electronics. 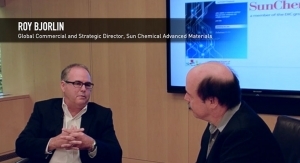 In part 3, Roy Bjorlin of Sun Chemical discusses key markets, including PV, PCB, displays and smart packaging. More end users are showing new developments, while material and equipment manufacturers report more advanced talks. Honorees show potential for commercialization, future advances. 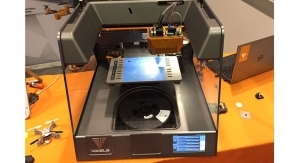 New 3D printers offer the capability of printing conductive materials. 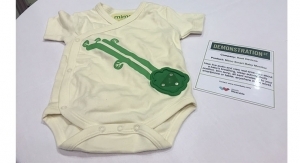 Innovations are highlighted at Demonstration Street and on the exhibition floor. 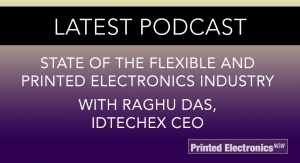 IDTechEx CEO Raghu Das discusses the growth of PE USA 2016 and the flexible and printed electronics industry. 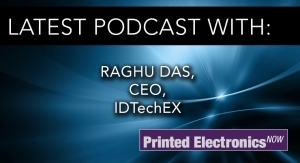 Raghu Das, IDTehEx's CEO, discusses the PE industry on the eve of PE USA 2015. Speakers from Jabil, Qualcomm, Hewlett Packard and US Army ARDEC are among the presenters today. It will take place from May 23-24 at Centennial College’s Conference Centre in Toronto. 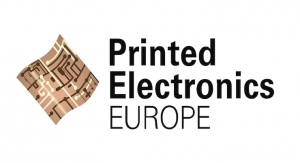 Topics to be covered include flexible and printed electronics, sensors, wearables, IoT, 3D printing and graphene. 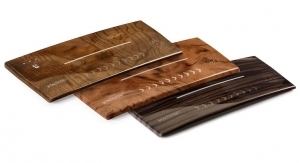 Injection Molded Structural Electronics (IMSE) turn exotic wood veneers into functional smart surfaces. 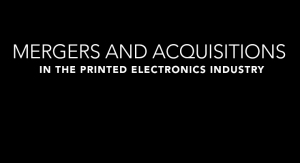 Printed Electronics USA 2017 will look at opportunities ranging from racing and advertising to medicine, wearables and more. 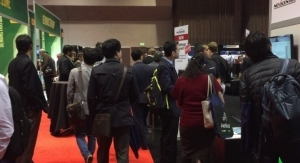 Attendance is up 10%, and number of exhibitors increased by more than 30%. Honored for functional car console demonstrator using in-mold electronics technology. Toyota, Coca-Cola, VF, HP and many other industry leaders will highlight the opportunities for emerging technologies.